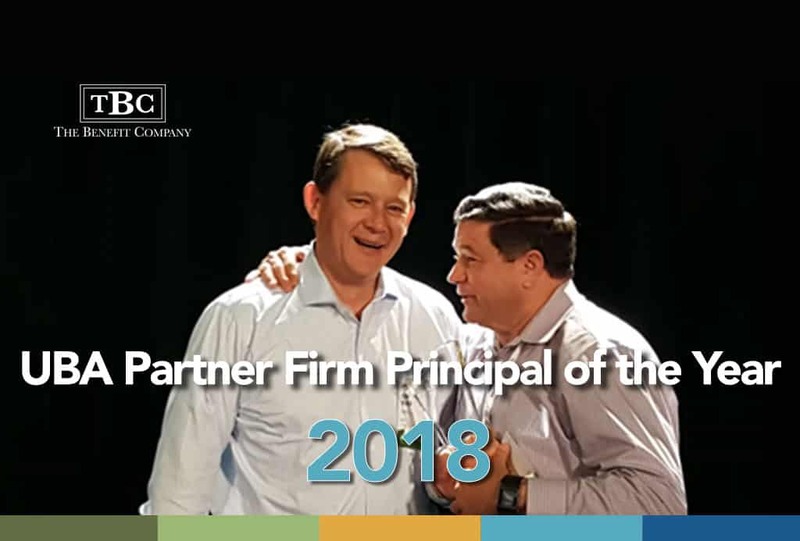 Graciously accepting the Principal of the year award was John Hearn, Principal of The Benefit Company, and UBA Board Secretary and Treasurer. John humbly and modestly acknowledged the recognition for his countless hours of dedicated service to the Partnership. But in true UBA fashion, John respectfully declined the award to recognize his fellow UBA peer Scott Deru, UBA Board Member and past UBA Board Chair, whom John felt was more deserving of the honor. Both John and Scott have been instrumental in working together with UBA President Peter Weber through the evolution of UBA and the implementation of the Partnership’s long-term vision.